A later morning kick-off today in the rain did not dampen the spirits. Having not played last weekend we were keen to get back playing again. 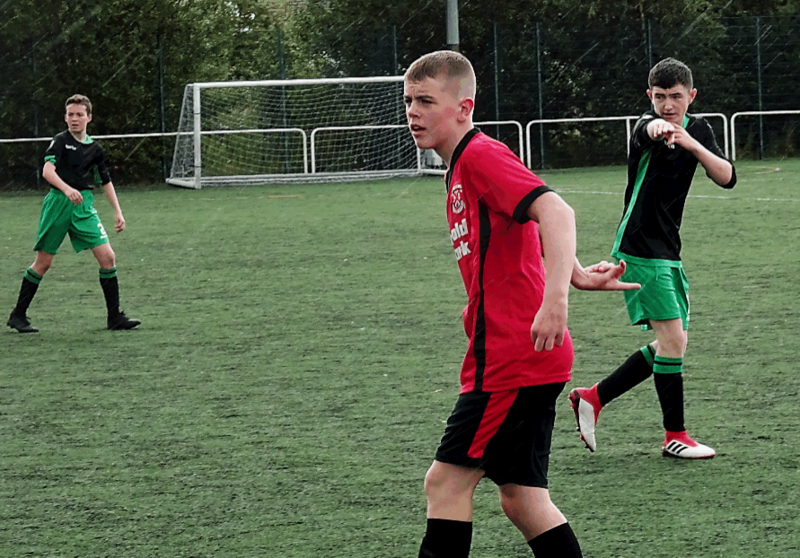 For our first home game this season we ran the risk of a depleted squad against Clydebank. Nonetheless, we went ahead confident but ready to face the challenge that laid ahead. Ollie and Mairtin were forced to pull out having both failed to recover in time, while Lennon was on duty elsewhere. So, with a tight squad of eleven we took to the pitch with a very positive offensive formation. 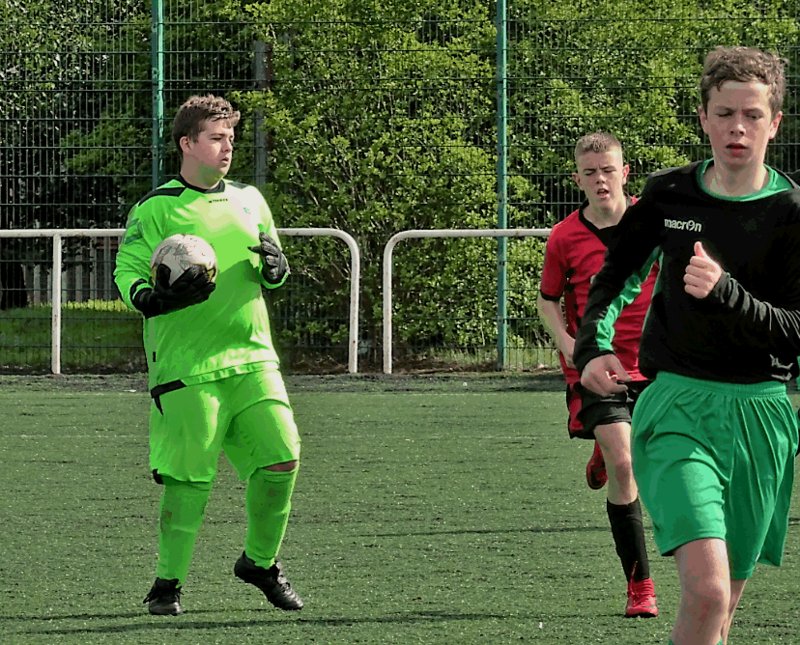 Straight from kick-off Clydebank were tested as we ventured forward. The initial drive was contained but Clydebank could do nothing when a hard working Jamie conjured up a cross from the left wing into the penalty area and Euan swept the ball with a mid-volley past the Clydebank keeper to open the score. We may have thought that Euan’s early goal would be the start of an avalanche, but we could not have been more wrong. In fact, it prompted Clydebank to put up a determined fight for supremacy. The game became more and more physical with tackles being handed out like hot cakes. We were certainly more on the receiving end. Regardless, it was a tasty feast that was served up all game long. We never wilted, instead we faced up to the challenge and worked hard to stamp our authority on the game. From the back Joe recovered from a hesitant start to finish with an authoritative display. Joseph did what he does best, simple and effective play in securing the right flank. The more and more polyvalent Reilly was deployed on the left where his athleticism shone. In the centre, Dylan was a revelation. In fact, we can go as far as to say that he is a completely new signing. He put in a monstrous man of the match display against strong opposition. He showed brilliant reading of the game, anticipation, great in the air and very prompt in intercepting opposition moves. He was a pleasure to watch with a very assured display. Beau was restored in the middle of the park where he displayed powerful play alongside the intelligent Gallagher. 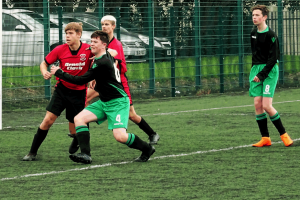 Jamie and Tyler secured the flanks and put in a great shift. 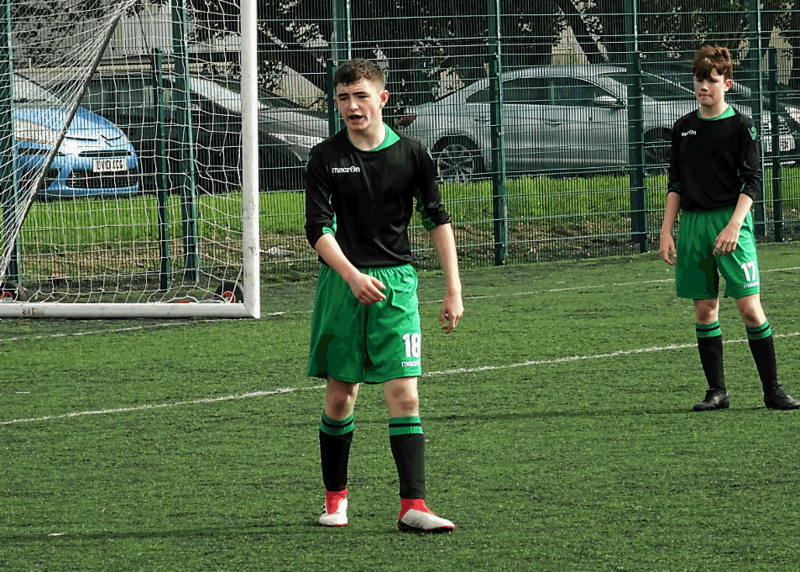 The trio of Ricky, Dom and Euan have already scored fifteen goals between them in the last two games alone. This strong line up maintained our one goal advantage until half time. We had our team talk in the rain with the Scottish weather switching between rain and sunshine like a flick of a light switch. But we were back on with the clear intent to put daylight between us and Clydebank. The opposition certainly had schemes of their own. The ferocious exchanges in the second half were testament to the desire of both teams to come out on top. However, Clydebank would most likely admit that their work was cut out. As hard as they worked they were ruthlessly exposed when it mattered. Twelve minutes in and Beau won his battle from midfield, drove forward then unleashed a brilliant shot from distance to beat the keeper and increase our advantage. As the game progressed, the referee was once again called upon many a time to resolve controversial comings together, dissent, offsides and some more tasty tackles. But the game moved on relentless, passionate and unabated. Jamie had to come off for treatment after an old injury resurfaced. In pain, he considered staying off altogether. His courage was exemplary however when, patched up and his injury supported, he took to the field for the final 10 minutes to help see off the opposition. Back on the pitch he was again running like a spring chicken. He pounced on a pass, controlled then drove into the opposition right wing. His impromptu cruijff turn sent his marker off course and allowed him to switch back inside to Tyler who immediately released Gallagher in advanced position. Gallagher controlled with his left then brings it inside to his right foot, took a touch then smashed it into the net from a tight angle at the near post. Le coup de grâce applied, Clydebank’s heroic resistance was finally broken for good. Having overwhelmed our opposition in the League Cup so far, we now set our sights on the league and the Scottish Cup. We certainly hope that our injured will fully recover by then and join us on our campaign. In the meantime, let’s keep up the good work. No Replies to "St. Patrick’s Vs Clydebank – 2004"